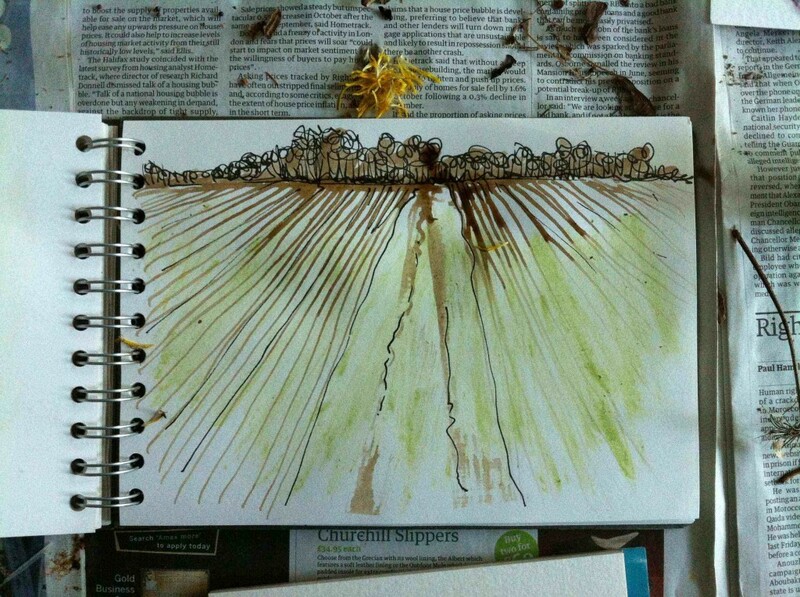 This entry was posted in autumn, collecting, colour, drawing, experimenting, flower, found objects, ink, landscape, leaf, mark making, materials, mud, natural dye, sketchbook, walking by Alice. Bookmark the permalink. really beautiful……full of almost winter spirit…as they say up North driech dubby and a wee bit wet. Please excuse the spelling it might be wrong since it is over 50 years since i left Scotland. Nature’s gallery, have been experimenting with taking dyes from leaves but the immediate simplicity of your ‘paintbox’ just magical. Nice to see a new topic appearing on your blog – will this form a new body of work? Sitting here sighing over your magical marks. Your self directed learning process always amazes me. Your curiosity is tuned up and always on even when you are in a period of rest. Makes me smile. I love your use of all things natural. Wonderful sketches, colours and marks. 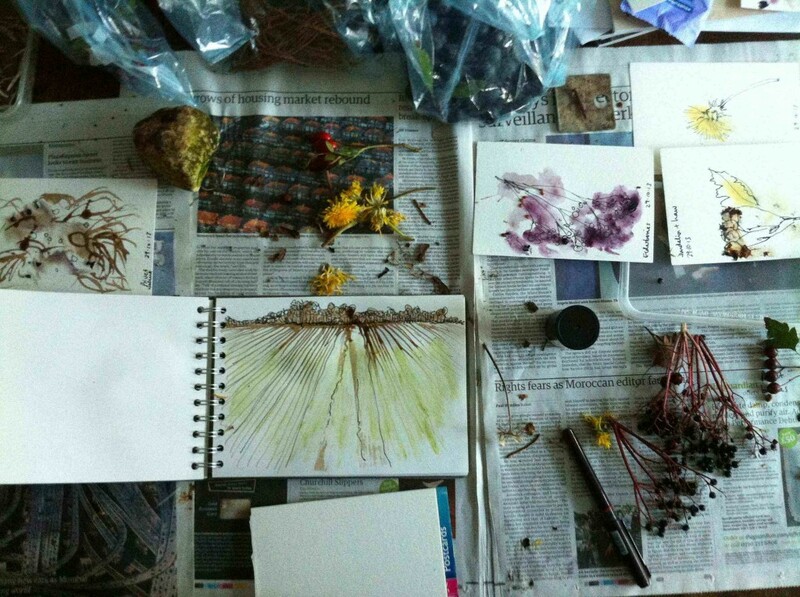 I love this idea – using natural things to record nature – and the result is beautiful and as always deceptively simple. As someone else has said, you continue to inspire. I find your work very interesting. The ink you made was something I never heard of before. Is it difficult to make? Maybe something to do in this winter in Sweden when we lack snow at the moment. Thank you for your answer. I won’t find fresh walnuts in the winter in Sweden bur I will find other things.